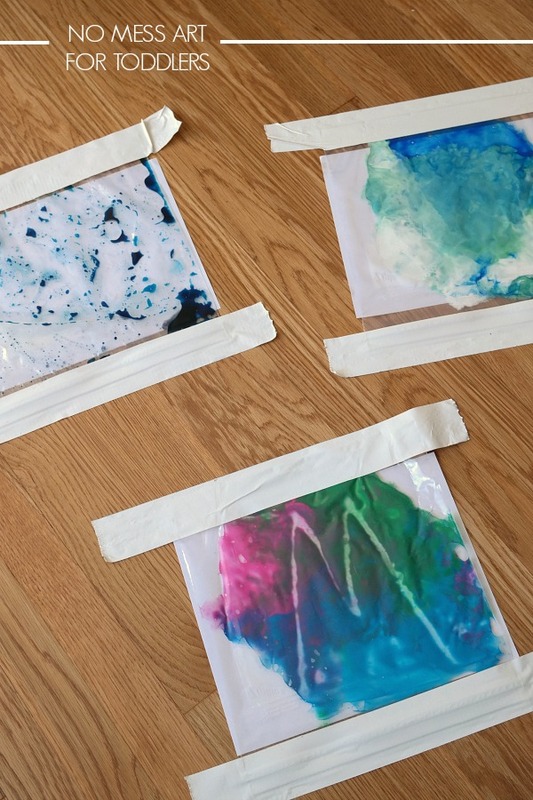 No mess crafts for toddlers - C.R.A.F.T. Just for the record, Maxwell will always be my baby. He signed a contract 🙂 But, I guess since he is “toddling” around, some folks like to consider him a toddler. 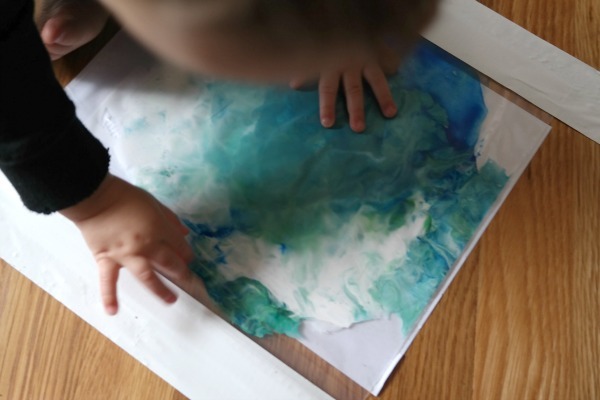 Crafts for toddlers are tricky! I want him to explore art and be creative, but I’m not really into ruining clothes and furniture and dealing with Max eating paint. 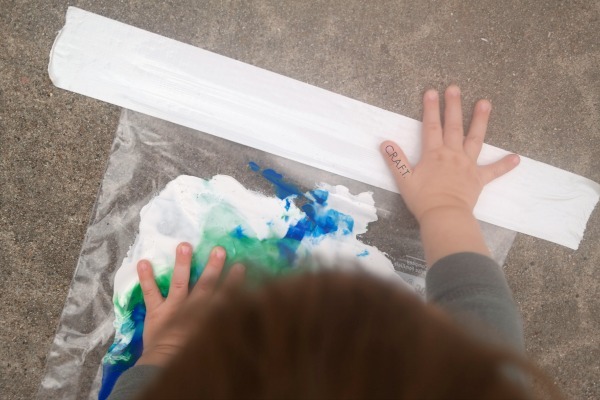 So, here’s a really fun and easy way to let your baby get creative without the mess. I’m not ging to lie, I thoroughly enjoyed doodling in the paint with Maxwell! Get creative! You can put anything in a zip lock. Oh and I suggest doing it outside, just in case. It’s as simple as filling your zip lock bags with paint and using the Duck Tape to tape them to the ground. Oh I also suggest putting a peice of white paper under the plastic bag so that the contrast is brighter. The blue bubbly looking bag is baby oil and blue food coloring. Such an easy and clean way to get creative! Great idea! I did not even know that colored hair gel existed… good to know! Thanks! Thanks for joining on the Small victories Sunday Linkup. Please join again. Pinned to the group board. 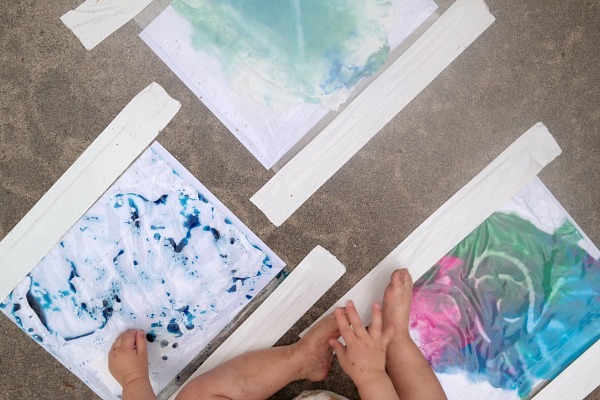 Wow, what a clean and creative craft idea for the little ones. Clever! Clever! Clever! I love this idea! Thanks for linking up at Found & Foraged. When I worked in child care, I used to do this with toddlers and preschoolers all the time! They loved it! Thanks for sharing and for linking up to the #SHINEbloghop. I LOVE this idea for toddlers!! You are a genius:) Thanks for this great summertime mess free craft. Thanks for linking up at #PureBlogLove PIN LINK party. Remember our party rules have changed. We’d love to have you link a PIN LINK at our next party so we can add you to our #PureBlogLove Craft board! We always comment right on the PINS and give them a love.! Looking forward to seeing your ideas at our next party! I love this idea! Can’t wait to try it with the babe. I think even my bigger kids would have fun with this idea! Really fun, I think big people would enjoy these too! thanks for sharing on craft schooling Sunday! This is genius! I have been trying to find a crafty project for my 8-month-old that doesn’t involve wrecking the house. Glad I found your post via sugarbeecrafts link party! Thank you for this! I keep saying that I know my 20 month old would love painting and what not, but I just can’t can’t get over the mess it will be!! This is perfect! This is perfect for my 1-year old! Pinned this so I don’t forget. 🙂 Thanks for linking up! I used to be a teacher of toddlers and I used Ziplocks for storage all the time but never thought of this. It was probably banned by NAEYC because of the plastic bag component…but for the mom at home this looks like a genius idea.